This red, white, and blue patriotic banner was displayed in reaction to the September 11, 2001, terrorist attacks on the World Trade Center in New York City. 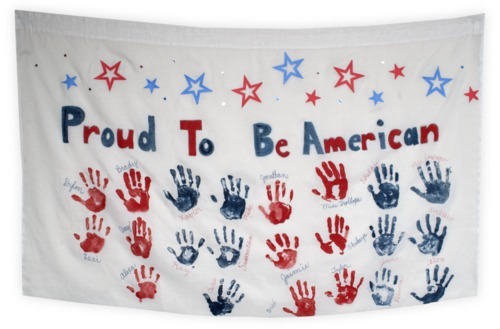 In October 2001, shortly after the attack, the banner was produced by the fourth grade class of McCarter Elementary School in Topeka, Kansas, and used in a local Halloween parade. The banner was related to a school policy banning traditional garb in favor of patriotic-themed costumes as a reaction to the events of September 11.